This summer, when you book an East Coast Glamping pack for your Nova Scotia holiday, whether it’s a DIY take-along-kit or a fully glamped campsite, bring along the bikes! Glamping and cycling: the perfect summer adventure. Don’t care for the hassle of hauling your bikes? East Coast Glamping is gearing-up with Pedal & Sea to ensure your glamping packs can include bikes, hitches and everything you need to hit the happy trails. Traffic jam – glamping style. East Coast Glamping can help recommend complete bicycle rentals, complete with hitches and delivery to certain campgrounds. A short jaunt along Rte. 256 in Colchester County. Make it a day and take your bikes to Nelson Memorial Park, a 47-acre day-use park near Tatamagouche. Picnic, explore, cycle and swim in Nova Scotia’s warmest waters. Just a little over 30 kms. from The Mermaid & The Cow Campground, this cycle route is an easy add-on to a day of exploring the Northumberland Strait and Seafoam Lavender Farm. See our Moonlit Meadows & Seafoam Breezes package on NovaScotia.com. The Butter Trail passes through this park and is great for cycling. Another route not far from glamping at The Mermaid & The Cow is a 20 km. cycle from Rte. 256 to Stellarton, mapped out by Kevin Mackenzie and hosting a little more elevation and challenge. The Atlantic Trail is a popular cycle path for doers & dreamers in Nova Scotia. Urban Glampers, be sure to check out the Atlantic Trail only 10 mins. from Porters Lake Provincial Park. The trail is part of eastern shore’s TransCanada Trails and offers a scenic journey through salt marshes and woodlands. If you’re enjoying our surfing and glamping package, you can finish a day of riding the waves, cycling your bikes before heading back to camp at Porters Lake Provincial Park. Bikes and bike kits available for delivery at this campground via Pedal and Sea. Mention East Coast Glamping when reserving. Or visit Dollar Lake Provincial Park, another urban glamping package, which offers 9 kms. of interconnecting trails for cyclists and hikers. Again, rent your bikes from Pedal And Sea and delivery of your bike package can be arranged directly to your campsite. Looking to add a little adventure to your cycling journey, we’re pleased to be offering a River Rafting and Canvas Glamping package with Scotia Pine Campground and Fundy Tidal Bore Adventures. 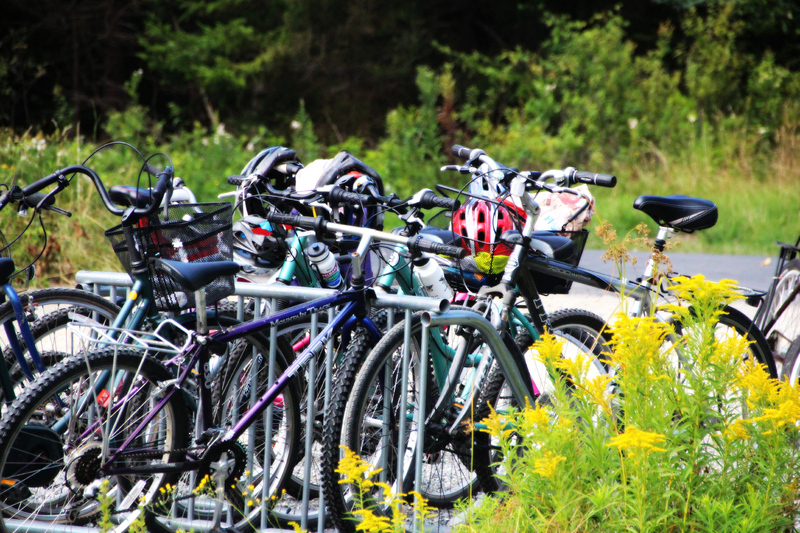 The campground is a short distance from beautiful Victoria Park in Truro with it’s many hiking and cycling trails – celebrate the great outdoors ridin’ the bore and ridin’ the bikes! 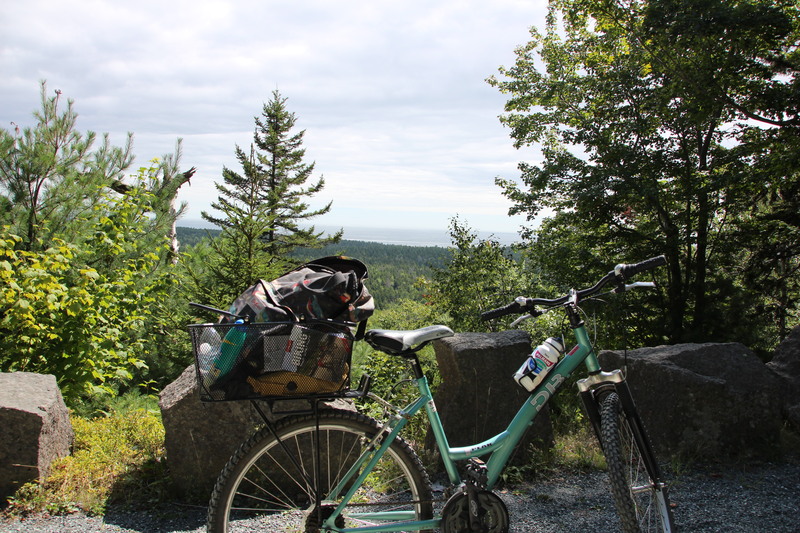 For Valley Glampers, hop on your bikes straight at Blomidon Provincial Park and spend a day exploring Cape Blomidon and the wondrous red sand beaches. Or meander through the vineyards of Gaspereau Valley, stopping to picnic, soak in the view and make an old-fashioned phone call! Cycle Nova Scotia has comprehensive maps available to download and bring along. Red sand beaches at Cape Blomidon while glamping at Blomidon Provincial Park. Misty morning on the ocean floor. Learning to dial – the old-fashioned way! Cycle Nova Scotia has a maps and cycle route plans for holiday makers, explorers and cycle enthusiasts. For a detailed list of cycle routes in Nova Scotia check out NovaScotia.com. We’ll also be glamping along the south shore, where many beautiful routes are found from Hubbards to Lunenburg, Nova Scotia. My groovy detachable bike basket worked great in the public showers and kept my gear off the ‘public shower benches’. Slow travel with glamping style. Glamping at Twin Shores, PEI. Cycling Loop A, which starts wooded and then opens into a field overlooking the beach. Glamping at Caribou Munroe Pronvincial Park. Get lost – Find Beautiful. Happy Glamping! Book an East Coast Glamping adventure this experience. Connect with us today.